With Bissel Catering, your party or event will be one to remember! Our servers are professional, insured, and polite. Long lines can take the fun out of any gathering or special occasion! So we will always staff plenty of our experienced bartenders for your event. Know that you’re getting the best possible addition to your party when you use us! Let us highlight your reception with an exceptional bar! It’s your wedding day after all and the perfect catered meals deserve the best beverage service! With an accomplished bartending staff, we will deliver exquisite drinks that your guests can’t resist. Our bartending experts can take your cocktail, theme, or anniversary party to the next level with an excellent selection of catered drinks and high-quality bartending services. We can't wait to help you decide what to serve at your next party. 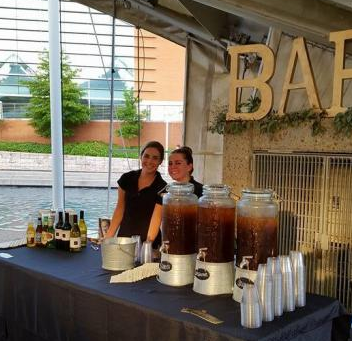 Do you want your company's event to be catered by the best of the best when it comes to bartending? Let us provide you and your business associates an experience that will make an unforgettable impression.